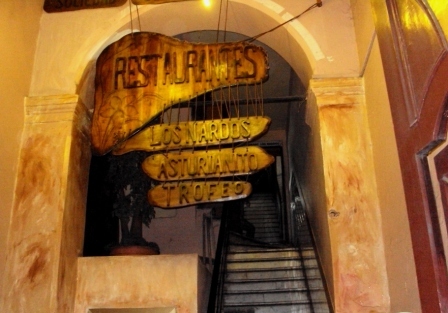 Old Havana and tourist traps go together because it is the one area of Havana that is always crawling with tourists. Most are in groups. The streets are extremely narrow. Thieves from all over the city know exactly where to head when they need some fast cash. 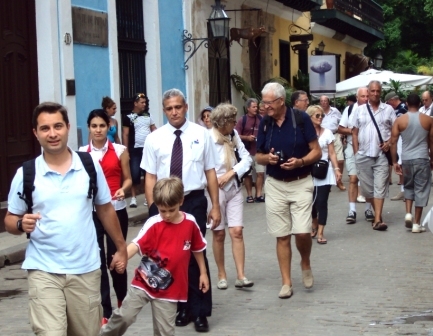 When in Old Havana, be aware that bag snatchers can work in pairs. You take a seat on the Prado to catch your breath. A cute kid comes by and diverts your attention. Bang! His partner has snatched your backpack and disappeared. With the low pay of a Havana policeman, even if one of them sees the kid he won’t kill himself racing in the heat. Anyway, that kid could be his neighbor. “Hey, lady, let me take your photo. Que linda! Give me the camera…..” She did and he ran with the camera. “Mister! I need money for milk. My baby is hungry!” This one can truly break your heart because they send out the skinniest family member dressed in rags. Her story will move you, but remember that all Cuban children up to the age of seven receive milk on the family’s ration card. It’s wise to keep your money and passport hidden on you so that if your bag does disappear, it’s not critical to your trip. But if you keep a wary eye, there should be no problems. If you choose to take public transport, and the bus is really crowded (which is usual) take care that your hands are on your belongings at all times, just like in your own city. Both casual and violent robberies have increased recently in Havana. 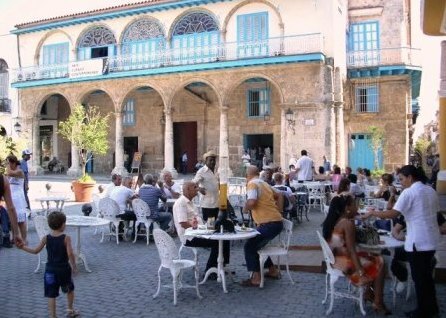 There are now more sophisticated con games, particularly in Old Havana. 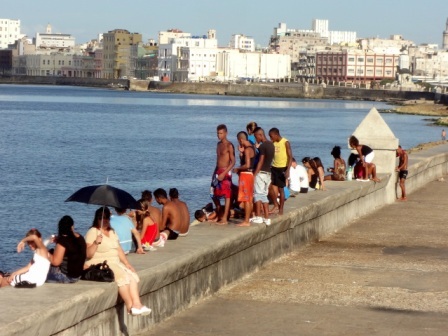 The Malecon seawall is a gathering place for everyone, including jineteros (con artists) who know they can always find tourists there. Don’t be afraid to check your bag at the Guardabolsos window if it’s necessary while shopping. Your bags and all belongings will be returned safely. More common than the pickpocket is the cashier who shortchanges you. This can happen anywhere, from the lowliest tourist traps to the best hotels. It’s a good idea to carry some smaller bills so that you can offer the amount owing and avoid any friction such as "I don't have change for a twenty". If you leave a shop and realize the money is short you must return immediately and ask for a re-count which they will agree to. But watch the hands carefully when this is done. Win some, lose some. You won’t get as far as the front door of a Havana cigar store without encountering a street hustler. You'll hear, “Pssssssst! Hey, lady, you want cigars? Very good. Very cheap.” He’ll guide you to a rabbit-warren in Chinatown where you can purchase some of the best fakes imaginable. When dining out, don’t be casual with your credit card and always keep your carbon copies. Have the menu handy so you can compare the final bill and the actual prices. More and more these days the bill will have mystery amounts added on to pad the final tally. Some restaurants automatically add a ten per cent tip. This is all on the printed bill in tiny letters, in the dark of a restaurant, so carry a small flashlight at all times. All in all, the tourist traps you encounter in Cuba are pretty lightweight against what is happening in the rest of the world. It’s up to you to be prepared and, as a polite guest, to remain unfazed.